Mr. Williams has made a career of bringing nuance and contrast to his roles, inspired by the swaggering characters he grew up with in East Flatbush. Flatbush Ave. A freqent hang out street. 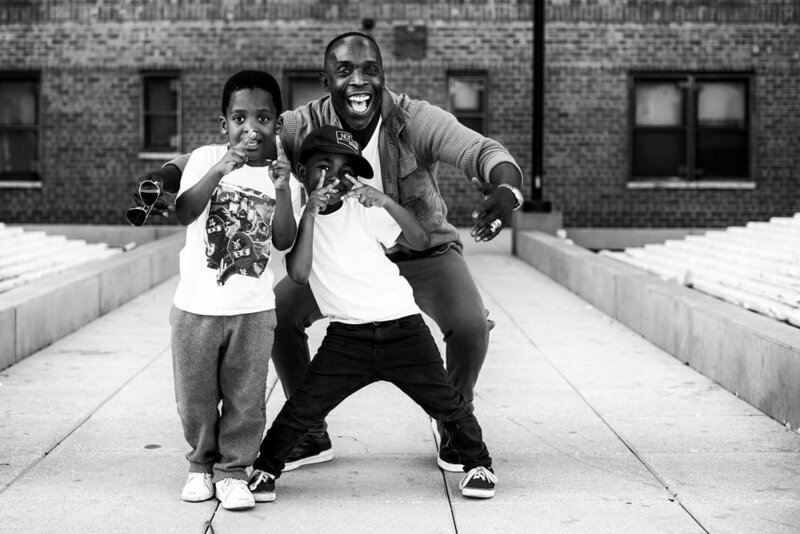 Michael K. Williams with residents of East Flatbush, Brooklyn, where he grew up. Mr. Williams at the Flatbush Gardens housing complex, formerly known as the Vanderveer Estates. The Corner where we hang. "Yo, I played out here just like you," said Mr. Williams. “The characters that mean the most to me are the ones that damn near kill me,” Mr. Williams said. Mr. Williams hanging out at the Norstrand Ave basketball court in Flatbush Brooklyn. "It has been way too long since I was last there," said Williams. Williams grew up in Vanderveer Projects now named Flatbush Gardens in Flatbush Brooklyn. Mr. Williams with the crew. Norstrand Ave basketball court in Flatbush Brooklyn.